If you thought 2016 was bad, I have bad news: Buckle up. Hopefully 2017 won’t bring the deaths of more beloved celebrities, and I doubt we’ll see the killing of any more famous gorillas. But one element that made 2016 terrible isn’t going anywhere. It’s actually getting worse. You can call it the Trump phenomenon, polarization among Americans, or whatever you want to call it. From my vantage point, Trump’s transition team is making some troubling decisions that are going to reverberate well into next year, and the ones to come after it. Even before the man’s in office, Trumpocracy is already beyond my worst nightmares. It’s so awful that it’s hard to even keep track of everything I need to be angry about. But here’s my best attempt. First, there’s the strange personal behavior of the man himself. Already some psychiatrists have raised alarm that he exhibits traits seen in people with Narcissistic Personality Disorder. They cannot ethically diagnose him without examining him, but they’ve called for him to be evaluated. One area of concern to them is his thin skin and impulsiveness. Instead of paying attention to the tragedy in Aleppo, for example, he took to Twitter to attack a comedy show and a magazine that gave his restaurant a lousy review. Second, he isn’t bothered by facts, or perhaps cannot tell the difference between truth and lies. When the FBI and CIA agreed that Russia interfered with our election, he refused to believe them. But meanwhile he claims that millions of people voted against him illegally, which got a “pants on fire” rating from Politifact. Perhaps if he’d attended those boring intelligence briefings, he’d have the facts about Russian hacking, but he claims he’s too smart to bother with those. This is a security threat. The Russians didn’t just hack the Democrats — according to more recent reports, they hacked the Republicans, too. They have leverage against Trump’s own party. Trump needs to know about information that could possibly be used against him, or against our country. Third, there are his conflicts of interest. 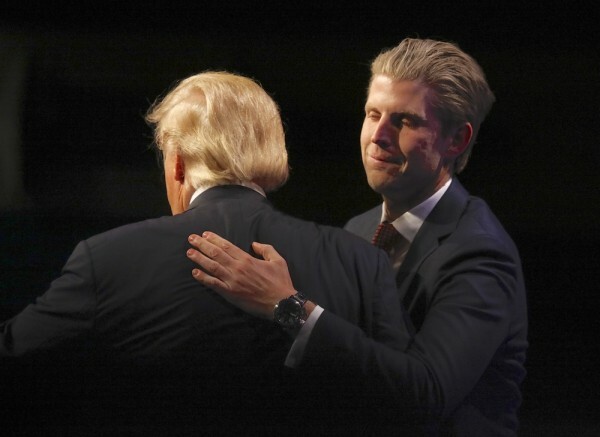 Since Trump has so far refused to put his assets in a blind trust, there’s the risk that Trump will use the presidency to enrich himself and his family. Instead, he’s placed his children at the helm of his business empire, even as he also includes them in official government business. That’s not OK. Previous presidents went to great lengths to avoid even the appearance of conflicts of interest. Trump doesn’t care. He’ll continue to do as he pleases up to the point of breaking the law, and perhaps beyond it if he thinks he can get away with it. After all, he knows his Republican Congress probably won’t impeach him, no matter what he does. Fourth, there are his appointments. They run the gamut from white supremacists to anti-environment extremists. He so often places someone who wishes to destroy an agency in charge of that very agency that Saturday Night Live joked he picked Walter White, the meth dealer from TV’s Breaking Bad, to lead the DEA. As we enter 2017, I’m not among the crowd cheering the end of 2016. Whatever comes next, it’s not going to be good. Let’s prepare to fight our way through this thing. The post I’m Not Cheering the End of 2016 appeared first on OtherWords.